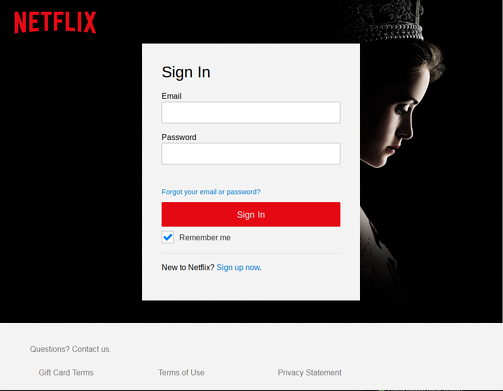 Receiving an urgent email from one of the world’s leading brands may cause you to sit up and take notice, but sometimes it also calls for a more critical need to be more vigilant before taking action. MailGuard intercepted an email phishing scam purporting to be from Netflix Tuesday afternoon (AEST). 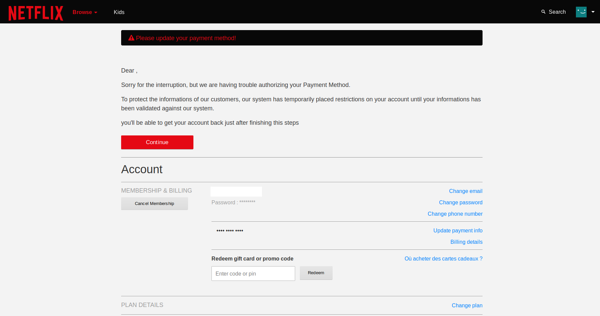 This scam has been very well executed with high quality graphical elements in the email message and phishing page, so it’s easy to imagine that it could potentially trick a lot of unsuspecting people. 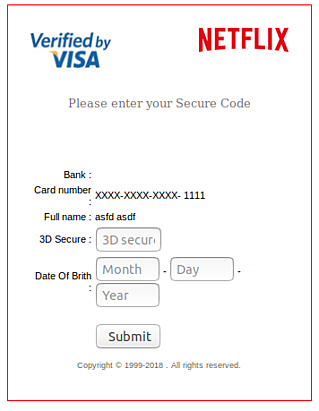 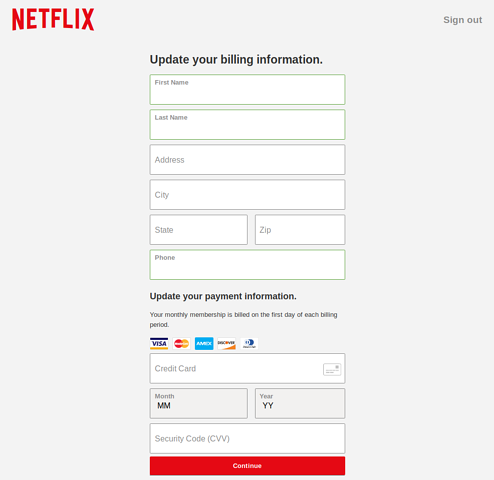 Unsuspecting recipients who click on the button are led to a Netflix branded phishing page consisting of multiple pages and steps. 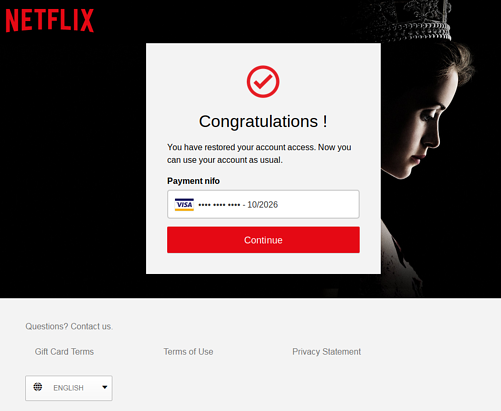 As you can see from the screenshots above, all of the pages are legitimate-looking copies of pages purporting to be from Netflix. 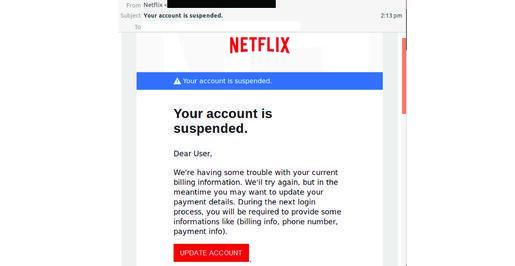 Cybercriminals have taken great pains to incorporate the exact colour scheme, logo, fonts and popular images commonly found in Netflix pages in a bid to convince the user that the email is actually originating from the entertainment company.